From within the fissure I rise, old as anything. The gravel beneath me slides. Blueback herring and eel, alewife and shad muscle in through my wide blue heart, and through. The smudged face of a wolf pools on my surface, and for that one instant I go blind. Hemlock to either side. Nut trees. Laurel copses. The stony backs of snapping turtles on the shore, muskrat, shrew, and from the unlanterned forest, the bark of a fox, the skith, skith, skith of snakes over leaves, the prowl of a bobcat, and when it rains the rain is its own kind of song, not just a drumming but a lyric. Were there language, I'd be my own lone letter. 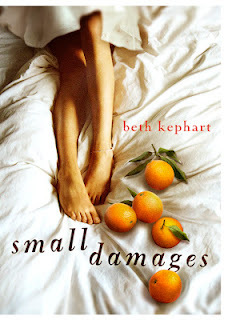 Following the publication of five memoirs and Flow, Beth turned her attention to young adult fiction. Undercover and House of Dance were both named a best of the year by Kirkus and Bank Street. Mary Gordon, in her book, Final Payments, wrote about a woman in her 40s who was making observations and decisions as if she were in her 20s (because she had been a caretaker for her father until he passed away when she turned 40) . On one occasion she introduced two friends of hers to each other. She was surprised to learn that the friends didn’t get along – that each friend spoke to a different side of her. As you write about young adults from an older vantage point, can you say how that vantage point helps or hinders your views and your writing of young adults? What are one or two of the views of young adults that you know you never entertained when you were a young adult yourself? I’m not quite sure how to answer this question. Perhaps it is best just to say that I spend a lot of time around young people—I teach them, travel with them, seek them out, correspond with them, read their work—and so I am always learning. At the same time, young people are almost always smarter than I am. My younger characters are always quite smart, quite perceptive. They reflect the young people I know. I don’t judge their views, I guess I’m saying, and so I don’t compare them to what I myself thought years ago. I’m just interested in who they say they are, who they hope to be. George Bernard Shaw said “Life does not cease to be funny when people die any more than it ceases to be serious when people laugh." Many of your writings put children in really tough situations. Pregnancy in your book Small Damages; the death of a sister in Dangerous Neighbors; the pending death of a grandfather in House of Dance? Yet you use dance, music, skating and poetry to tell your story. Is the appeal of the beautiful things in life that they help us cope with the sad or is the appeal of the sad that they make us appreciate the beautiful. This is a beautiful question, and of course the answer is yes and yes. There is tremendous beauty, always, no matter what is happening. We have to look to see it. Consider the way the Japanese turned toward the flowering of the cherry trees in the wake of the terrible tsunami a few years ago—and found beauty. Consider all that Abigail Thomas finds to celebrate in her memoir, A Three Dog Life, despite the tragedy that has forever dramatically changed her husband. Have you ever thought about having a male protagonist for one of your young adult novels? Funny you should ask. I do have a book I loved writing, called Dr. Radway’s Sarsaparilla Resolvent, which takes place in 1871 Philadelphia, features the William of Dangerous Neighbors' fame, his best friend, Career, and flashbacks of William’s brother, Francis. This is a story set in Bush Hill, featuring Eastern State, Baldwin Locomotive Works, the river, George Childs, and other intimations of that era. I loved writing William’s story. Can you comment on the creative process that drives your works, especially the young adult fiction. You wrote you don’t like outlines. But do you have a general idea of how the story is supposed to work and fill in the details as you go? Or do you create certain characters, set them in motion and see what story makes sense depending on how the characters interact. Or is there a middle approach? Anne LaMott, in her book, Bird by Bird, wrote how she uses an artistic approach. She just splashes some ideas on a page and constantly reshapes them to create her story? I feel poorly equipped to explain the process, or even to categorize it as a process. I grow obsessed with something. I follow the tangents, look for the heart, play with words until I have a voice I like, and go. Sometimes it works. Sometimes it doesn’t. I’m not writing anything right now, and so it all seems very far away, very distant. At this moment in time, it is hard to remember or imagine how stories get written. There’s something mysterious about it. You’ve written “I write every scene at least two dozen times. I am only happy when it feels true and when it reads lyrically. I read the passage aloud toward the end of the drafting. I listen for any off rhythm, any redundancy, any flatness. And then I ask myself: Does it mean what it is meant to mean.” Is writing a science or an art? Not a science. Hopefully an art. I’m seeking music, in the end. I do not lean toward formulae. Your blog says you try to create 5 metaphors daily. What are your 5 all-time favorite metaphors? The fun is in the making of the metaphors—in the mental exercise. I would never catalog the metaphors, though sometimes they appear on my blog, as part of the story or thought I am writing. They emerge, I wrestle with them, I let them go. And then I wake up to a new day. I love your love of words. Here’s a sample from your first column for the Currents Section of the Philadelphia Inquirer. In the high heat of this summer I find myself again returning to Chanticleer — walking the garden alone or with friends. The sunflowers, gladiola, and hollyhocks are tall in the cutting garden. The water cascades (a clean sheet of cool) over the stone faces of the ruins and sits in a black hush in the sarcophagus. Bursts of color illuminate the dark shade of the Asian Woods. The creek runs thin but determined. I don't know why I am forever surprised by all this. I don't know how it is that a garden I know so well — its hills, its people, its tendencies, its blocks of shade — continues to startle me, to teach me, to remind me about the sweet, cheap thrill of unbusyness, say, or the impossibility of perfect control. We do not commandeer nature — gardeners know this best of all. We are born of it, live with it, are destined for return. Dust to dust, yes. But why not? I used to love reading writers like Russell Baker in the NY Times and Bill Lyon and Steve Lopez in the Philadelphia Inquirer for their lyrical way with words or their ability to tell a story. Can you say what columnists you liked/like for the way they write as opposed to the content? Is there room for lyricism in today’s information driven online journalism? I think that some of the best writing we have today lives inside the pages of The New Yorker. Those movie reviews, those book reviews, those essays and profiles — many of them thrill me. At Salon.com and Slate.com and so many other web magazines, beautiful writing is getting done. I was delighted to be asked by Avery Rome to write for the Inquirer. I hope to have more opportunities. If I do I will again just find my way—write what feels right, wait for the response, and not put a label on it. Judge Norma Shapiro, the first female Federal Judge for the Eastern District of Pennsylvania, remarked that it’s crucial for women to network – to form a network of mentors. What networking advice would you give aspiring writers? She also said “conversation is not successful because of what you’re saying. It’s successful based on what the other person is hearing.” I would think the toughest thing about fiction is getting the dialogue correct. Each character has her own way of speaking and her own way of listening. How do you get the dialogue right? Dialogue is very hard. Dialogue is daunting. I wonder if this link - click here, in which I describe the process, would be helpful to your readers? 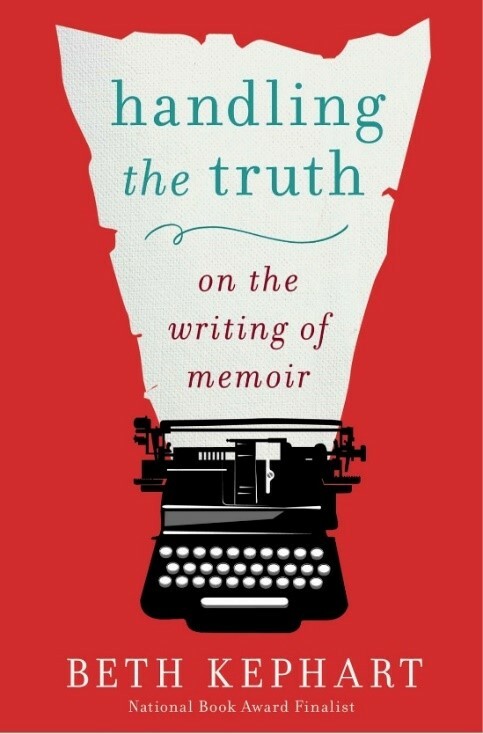 If you were to suggest an approach to writing memoir, what would it be? Or are the approaches as different as the memories and the writers themselves? Is there a right age or time to write a memoir? I have worked with children as young as eight on memoiristic exercises and taught adults in their eighties. What we’re doing with memoir is freezing time and searching for enduring patterns. We can start to do that sort of work very young. And it’s fun when we do. In Zenobia, you and Matthew Emmens attempt to humanize the corporate profession. You have your own marketing firm which focuses on marketing for major organizations in various industries. The temptation is to think that the two don’t mix. Corporations and industry favor data. People favor emotions. How do you square the two? How do you use your love of words to make corporations interesting AND profitable? Do you ever use the stereotypical corporate mindset in your fictional writings and memoirs? Companies at the end of the day, are nothing without people. They are, in fact, first and foremost people. People who yearn, people who dream, people who fail, people who compete, people who cheat, people who do not feel they have been recognized. In the writing of Zenobia, an Alice in Wonderland-like corporate fable, Matt and I were thinking about the impact that individuals can have on the broken machinery of corporations. We were setting our heroine, Moira, against prototypes and stereotypes, and seeing what her integrity, imagination, and daring could achieve. The book was poetic and fanciful, and yet we have heard from many organizations, all around the world, that the book provided answers and insights that were applicable to very real circumstances. The book is full of unusual people and strange little creatures and metaphors. I loved writing it. And I do bring my poetic sensibilities to all I do—on the job and in my books. I can’t help it. The only time corporate America has figured into any of my other fiction is in Undercover. Elisa’s father is a consultant. I rather understand his fate. Your memoirs include marriage, parenting and middle age. Your young adult fiction is often about coping with difficult situations. Is writing a memoir easier than writing adult fiction because you don’t have to create the story from thin air – or harder because the people you write about will be reading your book. None of this is easy. I have taken risks with all these books—with structure, language, and theme—and every single time out it feels as if I have not written before and do not have the tools to get the job done. Memoir may come more readily to me at this point, because I blog daily and look for the meaningful in the every day. But I haven’t written actual memoir for a very long time. In Dangerous Neighbors and your new works, you also use time as a backdrop to your stories. In Dangerous Neighbors, there’s this feeling that Philadelphia and the World are about to change. The Centennial Exhibition, for example, focused on how technology was going to make people more connected and provide more consumer choices. You wrote about Nothing but Ghosts that “History is ‘the things that might have been,’ 'The ghosts are everything that could have happened but didn’t.’” What’s the appeal of time in storytelling? There is no story absent the fold and mystery of time. We can’t write without it, we can’t live outside time ’s frame. I am very interested in juxtapositions—the new against the old, the known against the unknown, the anticipated against the unforeseen. That’s where the fun stuff lies. Philadelphia and the Main Line are great attractions for you. Is the appeal one of accessibility or are there things in the character of Philadelphia and the Main Liner that are uniquely local that drive your fascination with the city and the surrounding suburbs. I love this place. My mother grew up in southwest Philadelphia. I went to Penn. I have walked the city streets endlessly, looking for traces of the past, and I have walked my own adult neighborhoods grateful for the deep history and gorgeous landscape. It is not about accessibility. It is about familiarity, and about the promise of the newly discoverable within the almost known. Some authors, myself included, think that place defines one’s character. Others, like Richard Ford (who I heard speak at Kelly Writer’s House at Penn) say -- you are what you make of yourself; character defines place. You’ve used Philadelphia, the Main Line, Mexico, El Salvador and now Spain with your new work, SMALL DAMAGES, as settings for many of your stories. What’s your view on the relationship between character and place? Place for me is character. And yes, I strongly believe that we are shaped by the places we inhabit. My husband, a Salvadoran, was shaped by those jungle hills, those coffee trees, those volcanoes, those colors. I was shaped by the suburbs. But I am equally shaped by my travels and by what happens when I venture into the very new. Philadelphia, for many, is seen as having a sort of split or multiple personalities. There’s the green country town part and the city that now rises above William Penn’s hat. There’s a practical side and a passionate side. You capture these differing views throughout your book, Love: A Philadelphia Affair, a wonderful collection of essays and ruminations. Philadelphia streets: They more or less behave, until they bend or break of fold or don’t. I’ve been walking them for as long as I can remember, and when someone asks (as someone inevitably will) what part of Philadelphia I love most, I answer with the truth: I love the surprising, mutable, spontaneous, things that thrive on either side of the red bricks and the marble stoops, the granite pilings and the slate roofs; the glass towers and the storefront signs, the grates and the window frames. Is there a direct parallel between this view of Philadelphia and your writing in general – that your characters and the other places you write about more or less behave, until they bend or break or fold or don’t? Gosh. This question is so beautiful that I’m leaving it all right there. And saying yes. There is a parallel. Kudos to you for finding it. You did a lot of speaking to the public about this Philadelphia book. Did the public have similar types of recollections about the city as you? The memories (so many of them) were gorgeous, unique, different. But certain similarities arose. John Wanamaker’s at Christmas was big. 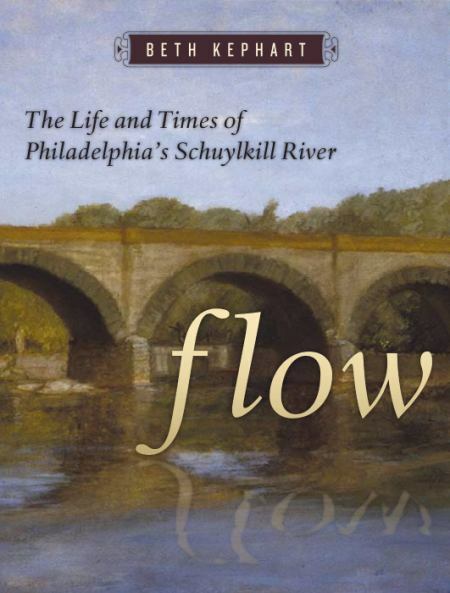 The rivers are evocative for Philadelphians. And so many Philadelphians love to walk, and love to talk about that walking. Earth. Griddle. Fryer. Canisters. Cartons. Buckets of Ice. The back edge of a knife. Silver skewers and plastic shovels. The invitation of open hands. Reading Terminal Market Fare at 12th between Filbert and Arch all comes from somewhere. So, this is more a technical question. What’s the appeal of the list for the writer? When do you decide one more item would be too much and one less is not enough? Well, this is a lovely, lovely question. I’m going to answer it like this: When writing with lists, we have to trust our ears. Lists are as much about the details themselves as the rhythms those details create on the page. Hmmm. I don’t know that I have immediate thoughts. I like both these fellows, very much, and they were always so smart, so wise. But. I am just trying to live my life so that I don’t regret anything, don’t feel as if the time was lost. Some of the most important parts of my day, my life, are the invisible, unnoteworthy things—time spent with my son and husband, time with friends, time discovering a new kind of cheese, time alive in a garden. I won’t be remembered for it. But I will have lived.